Looking for VIEWS, MOVE-In Ready, Custom Finishes & lots of Storage? This is your condo! The Kitchen features made-to-order Blue River Cabinets with a modern finish, Granite Counters and stainless appliances. Under the breakfast bar are 2 additional cabinets. 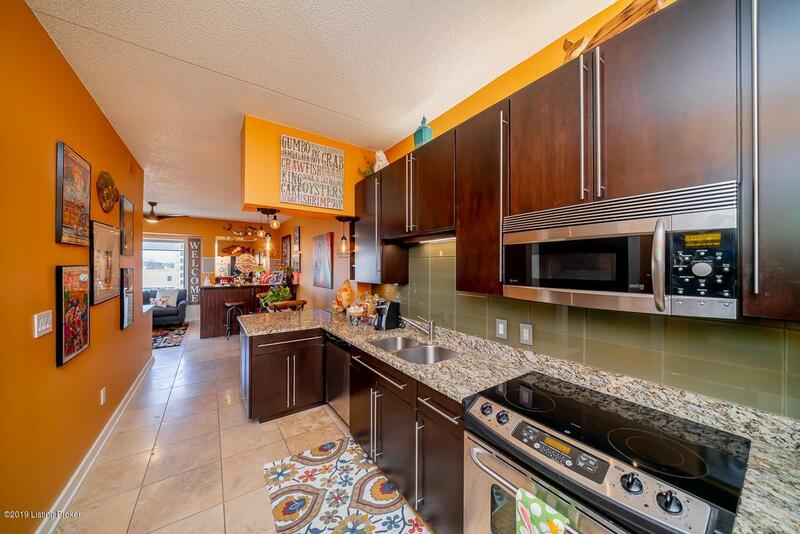 The kitchen flows to the dining area & built-in bar featuring a wine fridge & a beverage fridge. Lots of extra storage in the bar cabinetry. Travertine floors are throughout the condo with luxury carpet in the master bedroom. The master bedroom nook has been fitted with California closets & a flexible desk or vanity area. The master walk-in closet also has CA Closets. Enter the master bathroom with a walk-in shower, granite counters & neutral wallpaper. The 2nd bath has a vessel sink on a beautiful wood platform.Both bedrooms have their own bathroom. 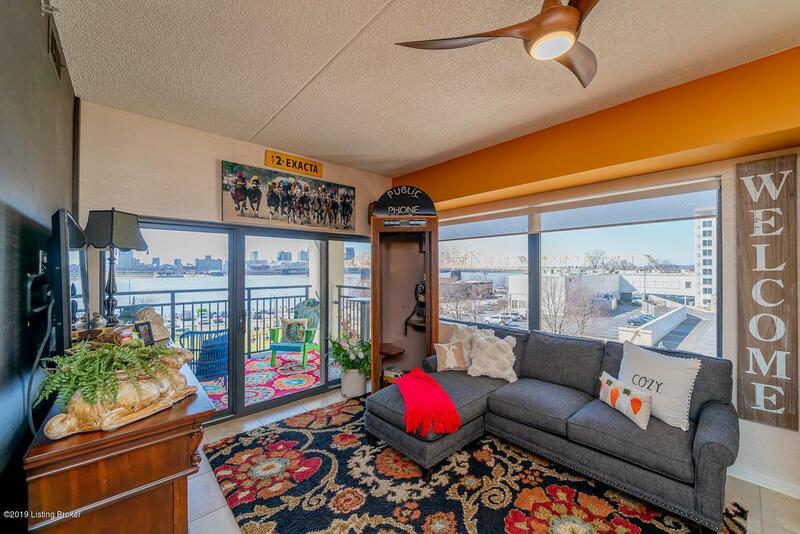 Condo 406 is conveniently located on the 4th floor. Two deeded parking spaces (426 and 606). Space 426 is right around the corner with no need to use the elevator! 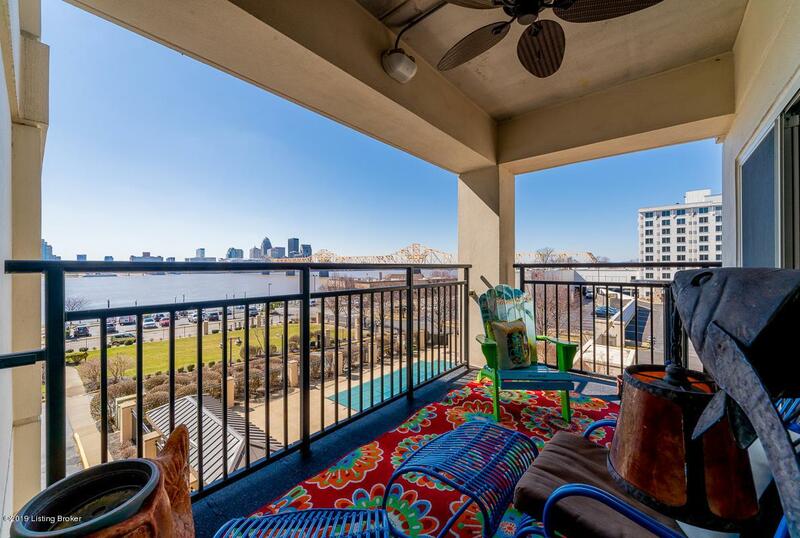 Great River & SKYLINE views and premier location for Thunder Over Louisville with the everyday convenience of walking to multiple restaurants & entertainment options. The Harbours is a premier property with gated entries, fitness center, indoor & outdoor pools, grills on-site, patio/gazebo areas. We've got the View! Monthly HOA covers amenities, cable, high speed internet, HBO, Showtime, water, sewer, trash & master insurance. HMS Home Warranty Provided.